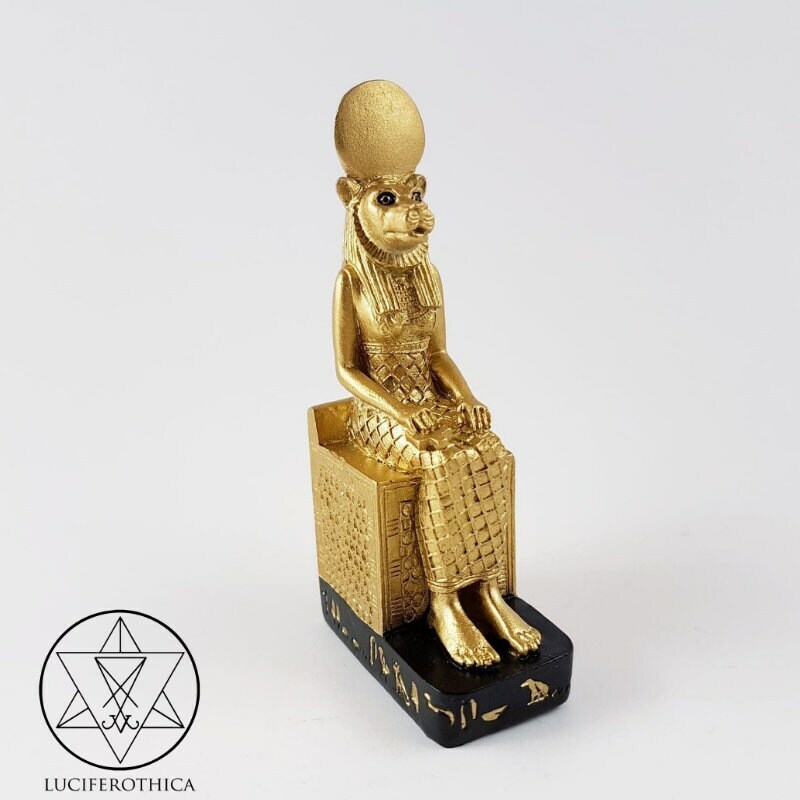 Egyptian Goddess Sekhmet Throne Statue. Small statue made out of high quality polyresin. 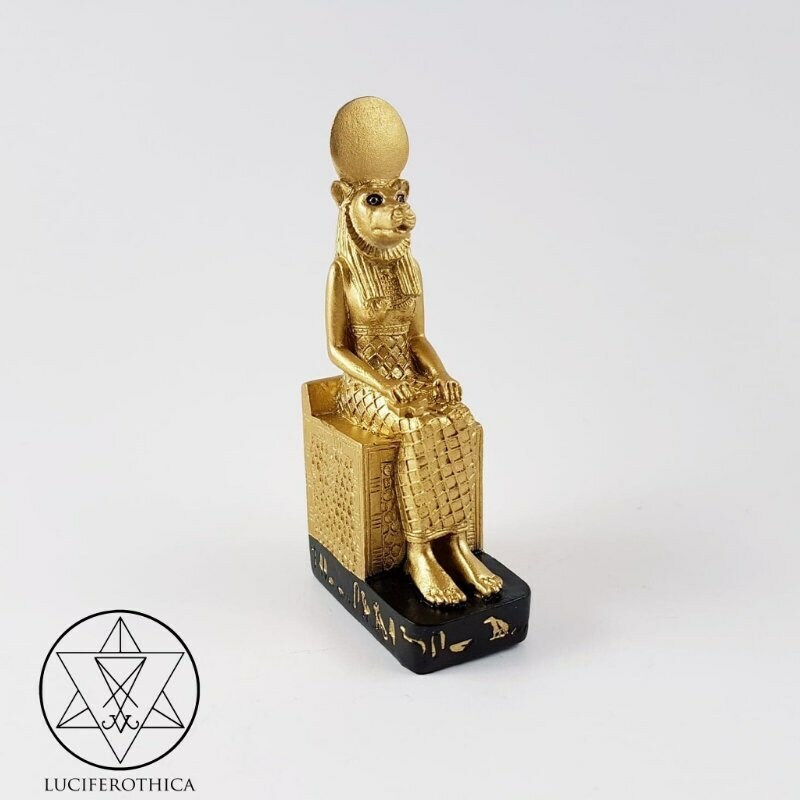 In Egyptian mythology, Sekhmet, also spelled Sakhmet, Sekhet, or Sakhet, among other spellings, is a warrior goddess as well as goddess of healing. She is depicted as a lioness, the fiercest hunter known to the Egyptians. It was said that her breath formed the desert. She was seen as the protector of the pharaohs and led them in warfare. 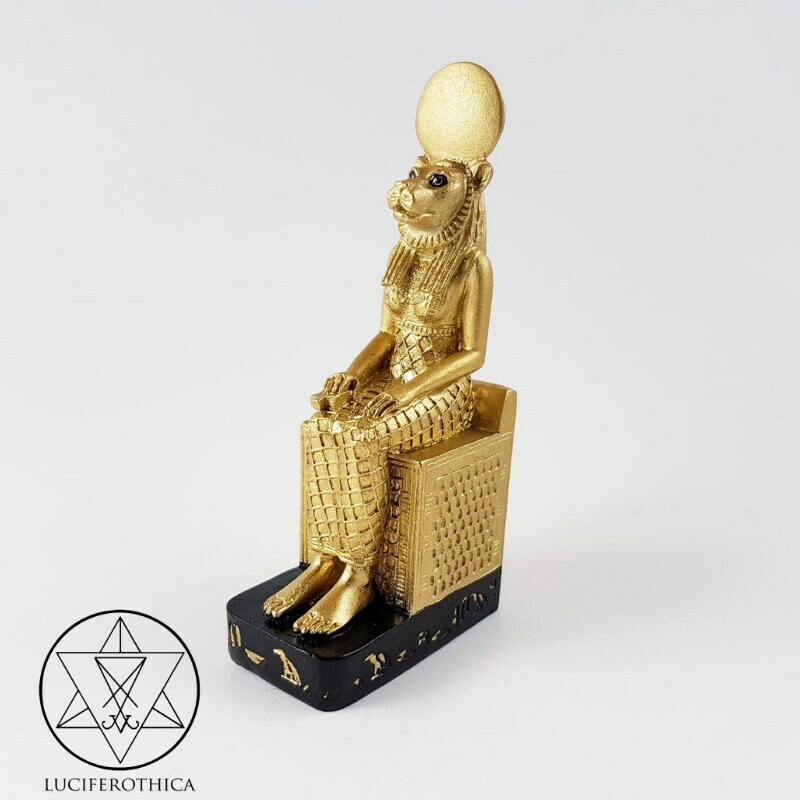 Sekhmet is also a solar deity, sometimes called the daughter of Ra and often associated with the goddesses Hathor and Bastet. She bears the Uraeus, which associates her with Wadjet and royalty, and the solar disk.